Shopping for Halong tours is not like shopping for products online. Travel services don't just sell a destination or transportation, they sell a state of mind. Too many travelers lose sight of this. You aren't looking for a common everyday product where one manufacturer isn't really all that different from another. Indeed, travel packages and vacation tours are not any different from a restaurant. Think about it-you can eat anywhere. You don't need a restaurant if you just wanted to eat. Moreover, all restaurants prepare food. However, restaurants differ based on how they make you feel while enjoying their food. You should approach Halong tours the same way. There are many different packages that display the power, mystery, and magic of Halong Bay but the overall experience they produce are very different. Here are the factors you should keep an eye on when comparing different Halong tours since these factors directly impact your experience. Halong Bay has many faces. Each face has a different mood. Each face has different spots you can check out You need a decent number of stops in your itinerary to get decent exposure to and enjoyment of the different faces of Halong Bay. Too few stops and you risk only getting a bare sketch of the different faces. Too many stops at similar spots might bore you. You need the right balance to enjoy a memorable trip to Vietnam. You should insist on quality over quantity. Too many similar stops can be boring and don't really add value to your overall trip. You end up seeing only one facet of Halong Bay. Halong Bay has many different facets. 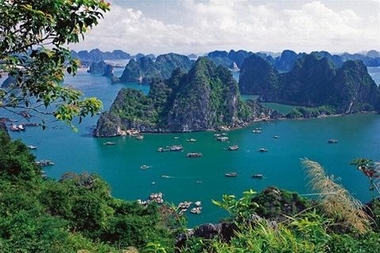 A great diversity of stops lets you see the different faces and get a full idea of Halong Bay. You don't even have to look for completely different itineraries. Instead, you should consider stops that let you sample the local food or enjoy the waters of Halong Bay. Your tour guides are responsible for a large part of your experience. Their presentation, their attitudes, and the general ambience they set can turn an otherwise mediocre tour into a great and memorable one. Select tour packages based on their promises of knowledgeable, engaging, and personal be tour guides that can help open the Halong Bay experience to you and your family. Insist on nothing less because solid guides are exactly that-guides. They help set the mood and tone of your trip. All Halong tours are not created equal. Just because they cover the same places doesn't mean they cover it the same way. Just because different tours have similar components-tour buses, transfers, hotels, food stops-doesn't mean the overall experience will be the same. Be on the on the lookout for the tiny little differences among different Halong tours which might add up to a huge difference in experiences. Use the guide above to help you find the right tour company which will give you the experience you came for.